Local fashion will always hold a special place in my heart and today's post features a piece from a new addition to the NZ designer fam. 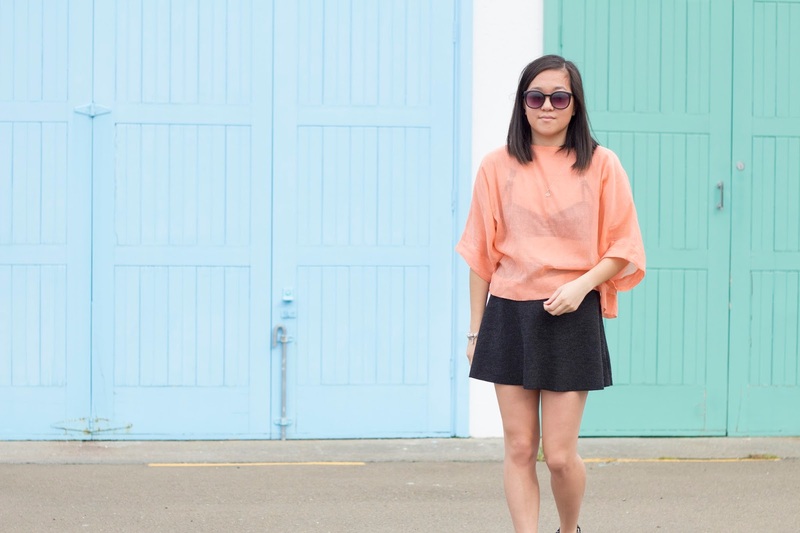 Meet Lulu Liu, a recent grad from AUT with a self-titled label and the girl behind the gorgeous top below. Her graduating collection at the annual Rookie show featured relaxed yet intricate silk linen pieces in an array of bright block colours. 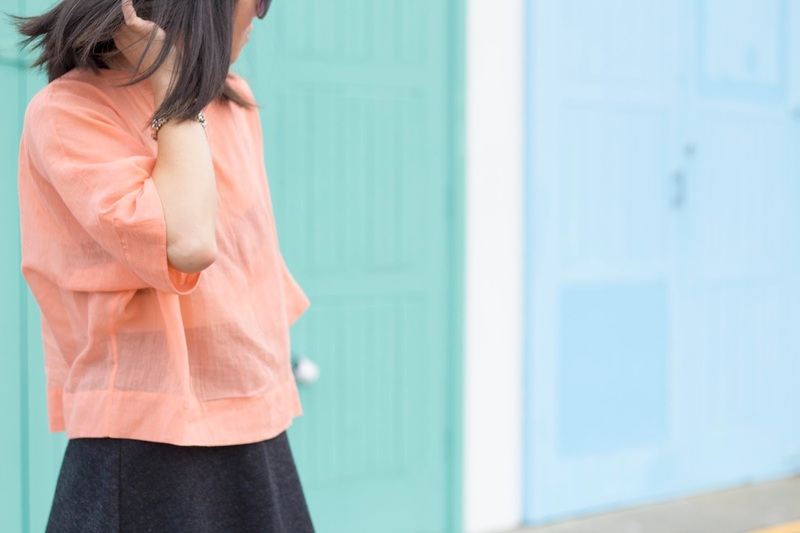 This pretty peach crop is super light and breezy and fun and I so want to wear it to the beach ASAP. But for now, it's pretty perfect with a bit of Lonely underneath and a flirty skirt to top it all off. I also need to point out the happy coincidence that this Lonely bra is also called Lulu!